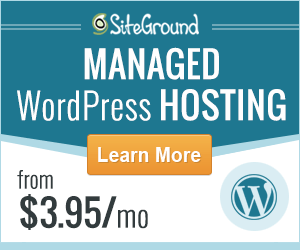 SiteGround is a well-known hosting provider. And, they are in the business since 2004. It’s been about 14 years in their journey. They have improved their service over the time. In addition to providing hosting service, they also offer domain registration. Nowadays, they are considered one of the best hosting providers in the world. But, the real question is if it’s true or not. So, today, we will test them out. We will put SiteGround to multiple tests and will come to conclusion. Now, if you are from the United Kingdom, you’re welcome. Because we have written this article especially for you. If you are hesitating whether you should go with SiteGround or not, then you will get the answer from this article. So, without dawdling, let’s jump in. Before we proceed further, let’s talk about the Data Centers of SiteGround. It is well known that data centers of any web host play a major role on the performance of a website hosted on that particular data center. Most importantly, the distance and the quality of the data centers are significant to the performance and stability of a website. Let’s learn more about it. To tell you in a few words, if the distance between the data center and the visitor is less, then the visitor will experience good load speed while he is browsing your website. But, if your website is hosted in a data center far from your visitors they will get very bad experience while browsing your website. So, it is better to choose a web host which have data centers from where most of the visitors of your site come from. Let’s say, your visitors primarily come from all around the United Kingdom. Then you need to host your site as close as possible to them. So, it is better to choose a hosting company which has a data center inside the United Kingdom or close to the UK. As this article is especially for our readers from the United Kingdom, it is recommended that you host your site(s) somewhere in the UK. Another important factor which can influence the stability and performance of your website is the quality of the data centers. Normally, data centers are consists of deferent kind of hardware. So, if your data center uses old hardware still, then your website will not be benefitted at all. And that will translate into slow loading speed and downtime. If your data center does not have a good power back up then you are in danger. Why? Because, if the power goes out then your website will be down. So, if they don’t have a good power back up then your website will lose visitors by the minute. So, it is better to check if the hosting provider companies have good power backup. As we already know the location of your websites’ data center is very important. So, we will check if SiteGround has what it takes. Yes, SiteGround has 4 data centers which are located in 3 continents all over the world. On top of that, one of those data centers is located in London, UK. So, for our readers from the UK, this is looking pretty good. The other data centers are situated in Amsterdam (Netherlands), Chicago (US), and Singapore (SG) respectively. This means if you get your visitors from outside of UK, you can host your site on one of those data centers. SiteGround has something unique about their data centers. They use SSD (Solid State Drive) on their data centers to store the data of your websites. While on the other hand, other web hosting providers still use HDD (Hard Disk Drive). Here’s something you should know, using SSD instead of HDD can increase the loading speed of a site by 20 times. Incredible, isn’t it? Now, let’s talk about their power backup. To tackle the problem of downtime, SiteGround has their own generators and enterprise-class UPS technology as the backup power source. So, it is very uncommon to see downtime on your website, if you use SiteGround. So, without a doubt, SiteGround has the upper hand here. You can put your trust on their reliable data centers. But, prior to that, let’s put SiteGround to some real tests. First of all, we will test the load speed of a website which is hosted on SiteGround. We will use ‘Pingdom’ which is popular for performing speed test of websites. And, we will use this website (ReviewPlan.com) as the test subject. Why? Because ReviewPlan.com is hosted on SiteGround. However, we are hosted in the Chicago, US data center. So, let’s get to know more about this test. We will use Pingdom to test the speed of our website. Pingdom has 4 locations from where you can conduct the test. We will use the closest location to the UK to conduct this test as this is for our visitors from the UK. And that will be Pingdom’s Stockholm (Sweden) server. Unfortunately, Pingdom doesn’t have a server in the UK. What to expect from the test result? The result will return some important stats about our website’s performance. However, the most important one will be the ‘Load Time’. Now, remember that the test is conducted from Pingdom’s Stockholm (Sweden) server. If we could test it from London then the result would be far better than this. However, we will go ahead and test it. 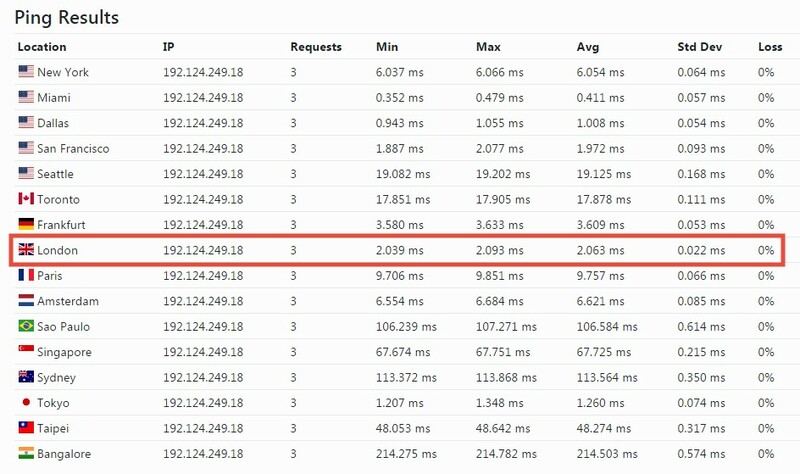 Along with the ‘Load Time,’ we will also see some other stats like Performance Grade, Page size, Number of requests and the location from where the test was performed. We are using the Pingdom’s Stockholm (Sweden) server to conduct the test here. The first thing you are seeing that the performance grade is ‘A’, which is the highest grade available. And, we scored 90 out of 100. You can clearly see that the load time of our site is incredibly low. It is only 685 ms. Which indicates that it is faster than 94% websites tested on Pingdom. To be honest, it is a great result. And, it shows the capability of SiteGround. To be noted, the standard load time of a site should be around 2 seconds whereas our website has load time less than a second. Awesome! Let’s start the 2nd test. This test will be conducted using the ‘Bitcachca’ website. This experiment will be conducted to check the server response rate of the SiteGround web host. We will check if it is good enough. Bitcatcha has 8 servers all around the world to perform the test from. The 8 locations are US (W), US (E), London, Singapore, Sao Paulo, Bangalore, Sydney, and Japan respectively. Needless to say, our eyes will be on the result from the London, UK server. How does this ‘Server Speed Check’ test work? The test is pretty straightforward. 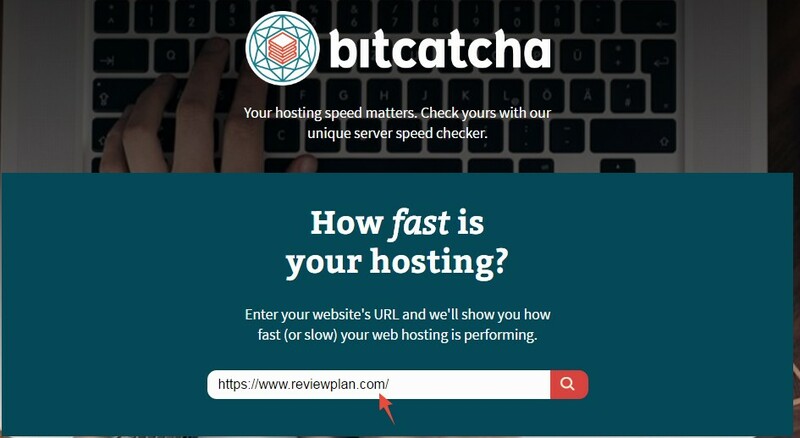 ‘Bitcatcha’ will ping the server of our website (ReviePlan.com) from their 8 servers. And, it will return the amount of time it took to response to the pings from our website’s (SiteGround) server. What to expect from the result? The result will be the ‘Response Times’ from different locations of the world. The less the response time is the better. If the response time is high then your visitors will get a bad experience while browsing your website. What is a good Server response time? It is debatable. But, Google has suggested that they think 200 ms or below is good enough for the response time to be. So, we will be happy if the response time is lower than 200 ms. The ‘Performance Grade’ is again the highest one which is ‘A+’. Now, let’s take a look at the real deal. It is clear that SiteGround has performed out of this world with this test. The ‘Response Time’ from the London Server is only 10 ms. Well, it is unbelievable. Because, as you know the recommended server response time is 200 ms by Google. Where we have scored freaking 10 ms. Plus, you have to take on this consideration that our website is hosted on the Chicago, data center. Let’s take a look at the response time from other locations. The lowest response time was from Japan which is 3 ms. After that US (W) and the US (E) have 9 ms and 27 ms respectively. Then we can see that Singapore, Sao Paulo, Sydney, and Bangalore has 72 ms, 109 ms, 189 ms, and 308 ms respectively. So, the result is a good indication of the performance of SiteGround servers. We will use the Ping tool from ‘Keycdn’ to perform this 3rd test. This test will be a Ping test. ‘Ping Times’ is also known as website latency. We can estimate the amount of time it takes to travel data across the internet and return back to the visitor from this test. We can also test if there’s any packet loss while we are transferring data over the internet. Long story short, the lower the ‘Ping Time’ is the better for you and your website visitors. And, it also depends on the quality and the location of the data centers of your web host provider. As always, this very website is the test subject. You can see that the tool is sending 3 requests and returning the results. We can take a look at the average ‘Ping Time’ to assess the results. Generally, this test is performed from 16 locations all over the world. But, the most important one for us will be the result of London, UK. So, the average ‘Ping Time’ from the London server is only 2.063 ms. It is too low and good indeed. Another thing is that there is no packet loss. So, it is clear that SiteGround also has passed this test with a stunning performance. In a nutshell, SiteGround has done beyond good in those 3 tests. Although our website is hosted in the Chicago, US data centers, the performance was more than great even for the visitors of the United Kingdom. So, if you are a website owner from the UK, you can go with SiteGround. And, remember to host your site on the London, UK data center for better performance. What more you can do to increase the speed of your website? Let’s say you receive visitors from around the world randomly. What can you do? We know it is recommended to choose a hosting provider which has data center closer to the majority of your visitors. But, in this case, the visitors are from all around the world. We know it is not possible for you to host your site on every corner of the world at once. But, there’s an easy way out here. To get rid of this problem, you can use CDN (Content Delivery Network). Let’s know more about CDN. Another thing for you to know about ReviewPlan.com is that we use Sucuri CDN here. It helps us providing good browsing experience to our visitors all over the world. A CDN is actually a network of servers which are spread throughout some of the important locations of the world. Whenever you use a CDN service, your website’s files will be cached and stored on all of those servers. So, it won’t matter if your visitor is close to the data center of your website or not. Because s/he will get the contents delivered to him/her from the nearest possible server to them. Consider Sucuri CDN, they have 11 data centers all over the world. Most importantly, they have one of their data centers in London, UK. It will help tremendously in increasing the performance of your website. So, we recommend using a CDN to maximize the potential of your website. Along with this, Sucuri has some other important features. Let’s take a look at some of them. Do you worry about losing your site? If that’s the case, then you need to set up a backup system on the place for your website. However, it is tiresome and time consumable to use the manual backup. So, you can use Sucuri Backup. You just have to set it up once and Sucuri will take care of the rest. They will take automatic backup on the schedule which you set up. There are many ways your website can get hacked. It is a common thing and unfortunately, it is increasing day by day. However, you can also take strong security measures to tackle the security threats. ‘Sucuri Firewall’ comes with some very strong security measures. So, once you start using it, you don’t have to worry about your website’s security anymore. On top of that, ‘Sucuri’ has answers for hacked sites too. So, if you have sites which have been hacked before, you can contact them for retrieving your websites. It is undeniable that website uptime should be one of the highest priority for you. If your website gets down in a quick interval of time, you will lose visitors constantly. And, it will be hard to get your website to the previous state. 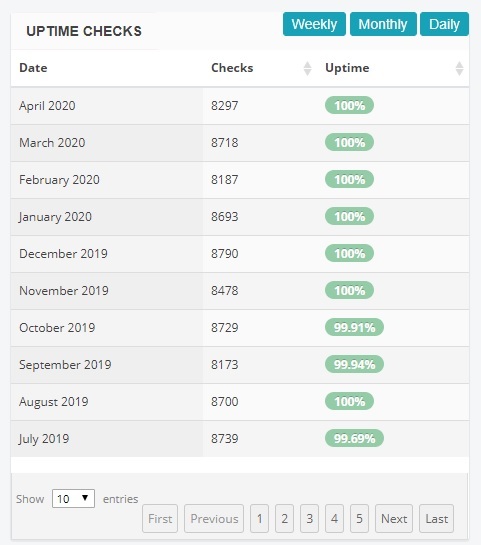 So, you need to check the uptime stats of a web host company before you take their service. To be noted, the industry-standard uptime is 99%. So, it’s unquestionable that you should get a web host provider which has this quality. As we mentioned before we use Siteground, we regularly monitor the uptime statistics of our website. We will share the stats with you so that you can get the idea of SiteGround’s service. So, here is the latest Uptime stats of ReviewPlan.com for you. You can see that SiteGround actually maintained the industry-standard quite easily. It is worth mentioning that they have kept the uptime most of the months at 100%. Because of this, we are very much satisfied with SiteGround’s service. We can’t actually end this review without mentioning about the Customer Support of SiteGround. If you are not techy then you will need help. Even the professionals sometimes need help too. And, SiteGround is doing really well with their customer support. Whenever you face a problem, you can contact them. It does not matter what time or what day it is. Because they provide support 24/7, 365 days a year. You can contact them using one of the 3 methods mentioned below. Our experience with them was over the top. We have got a prompt response from them every time we talked to them. And, what we like the most about them is their patience. They will always be with you until the problems of yours are solved. They are far ahead if you compare them with other web hosting providers. Conclusion: Should you go with SiteGround if you are from the United Kingdom? Our straightforward answer to this question is YES. Without any hesitations, you can go with SiteGround. The reasons behind our answer are the results of the tests we ran. We put SiteGround to tests and SiteGround actually done better than our expectation. If you don’t know it already, SiteGround lets you choose your preferred data centers before you set up the hosting account with them. Again, you can switch the data centers even after setting up the account without a hitch. 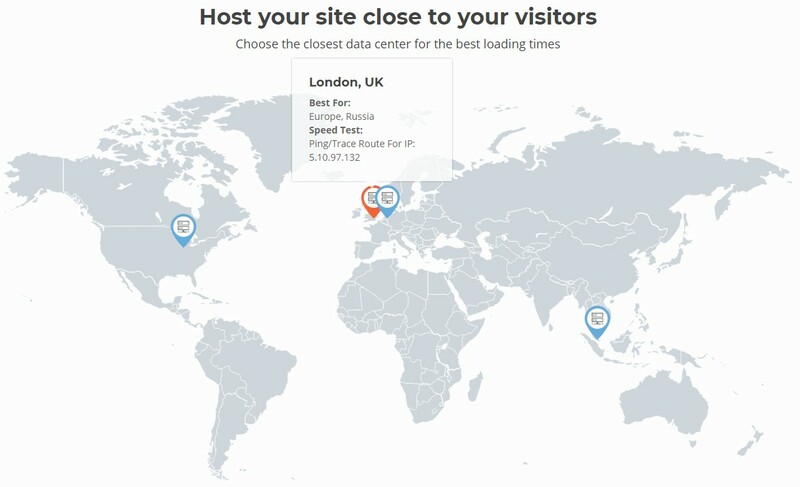 So, for our readers from the United Kingdom, you can go and host your site on their data center located in London, United Kingdom. As it is common that you will get your visitors from within the United Kingdom, it will be your best bet. Yet, if you get visitors randomly, then you can use other data centers of SiteGround to host your site. You will never get out of options. WordPress, Drupal, and Joomla (popular CMS) officially recommend SiteGround. So, this is an evidence whether SiteGround is good or not. And last but not the least, we here at Reviewplan.com use SiteGround. 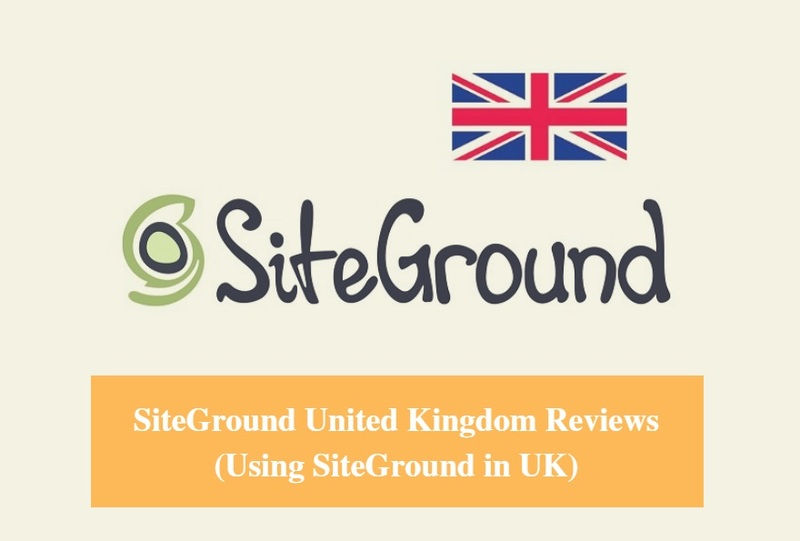 And, from our firsthand experience with SiteGround, we can confidently recommend SiteGround to our readers of the United Kingdom. Believe it or not, you can’t go wrong choosing SiteGround. So, go and give them a try, don’t hesitate and waste your time anymore.